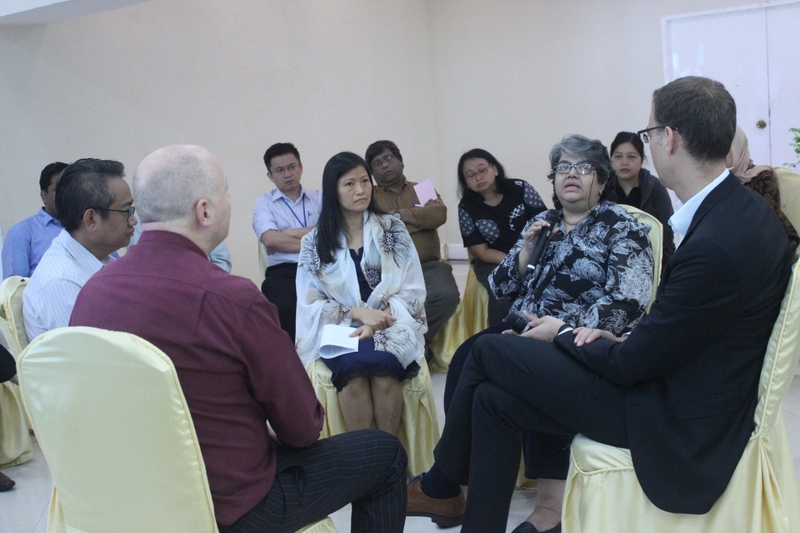 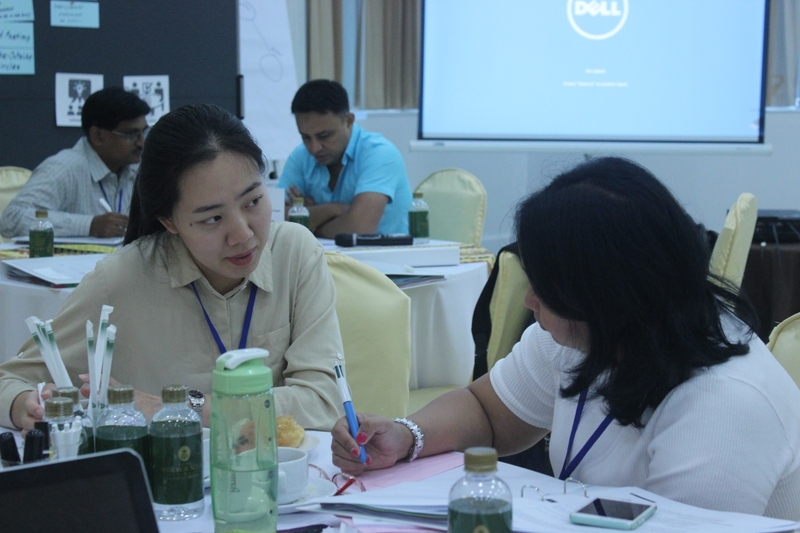 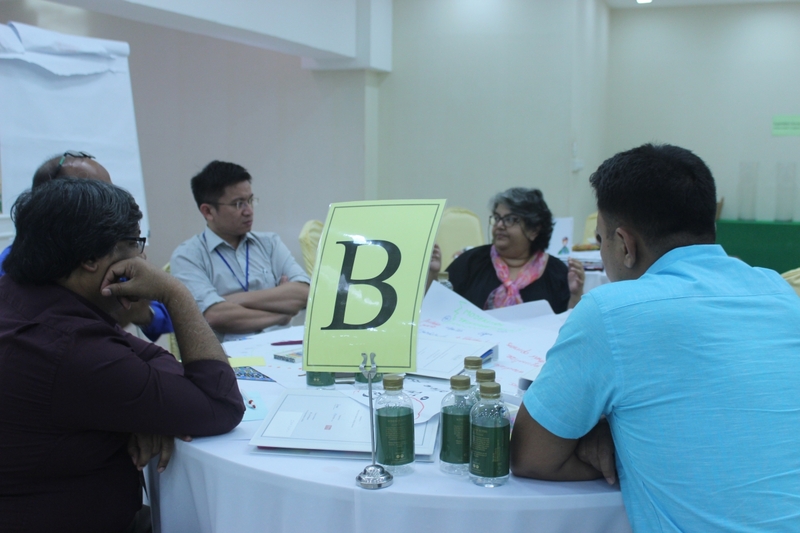 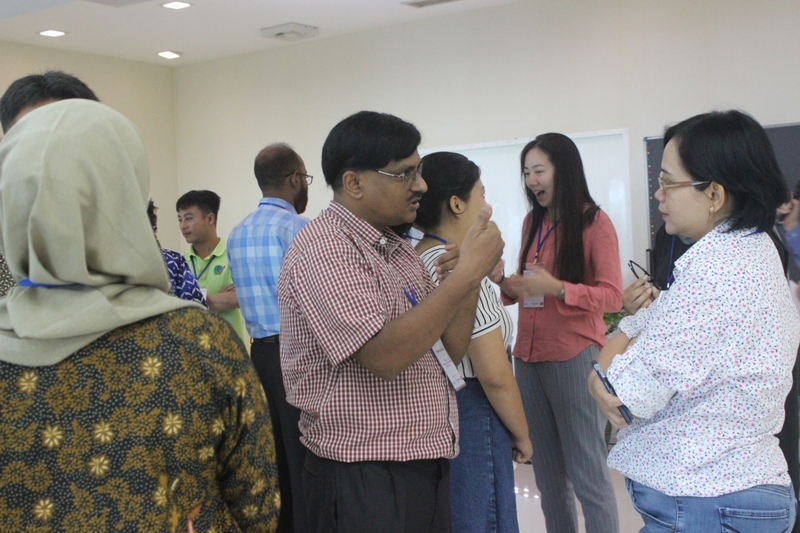 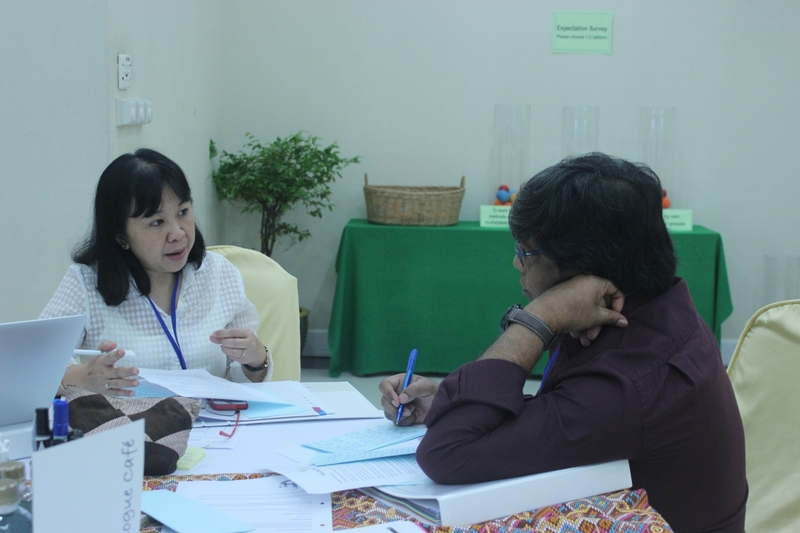 The Training on Convening and Facilitating Multistakeholder Dialogues in Valule Chain Development for staffs of VCB-N members took place from 2nd to 4th October 2018 in Bangkok, Thailand with the participation of 21 attendees, coming from 6 target countries. 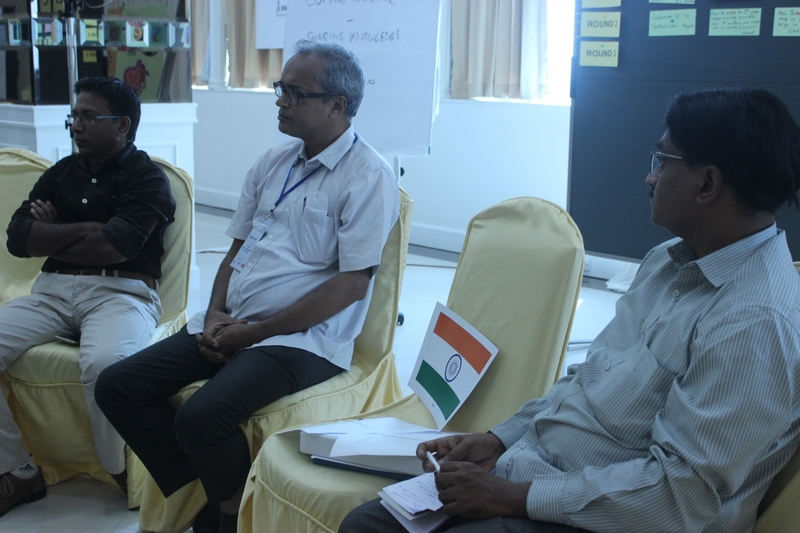 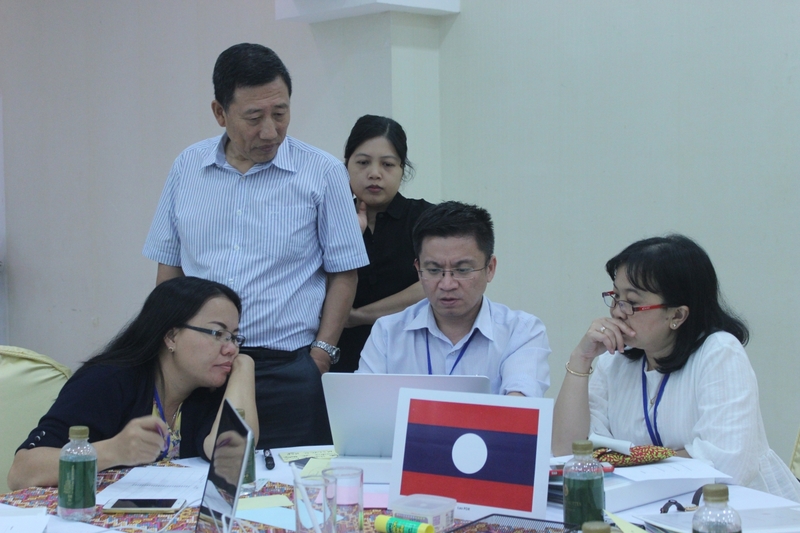 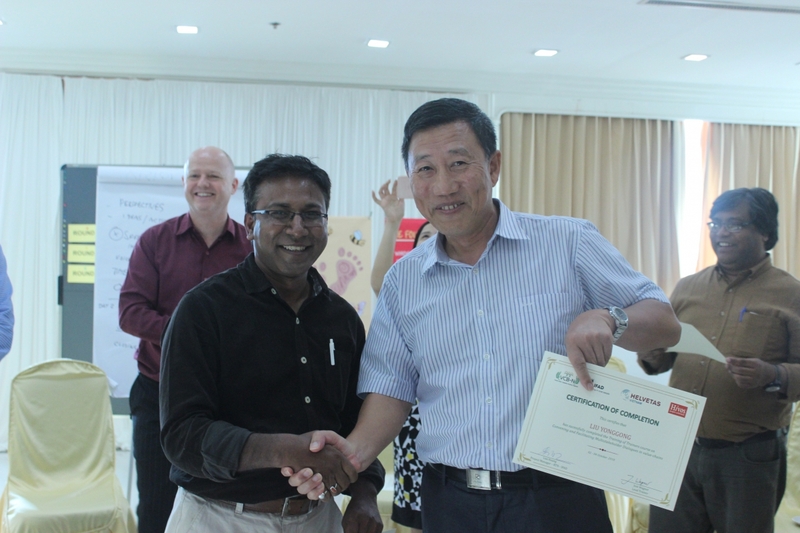 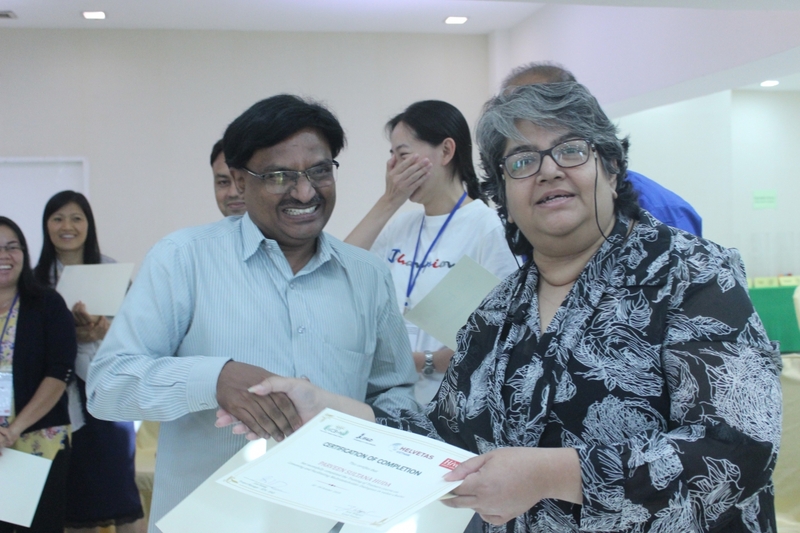 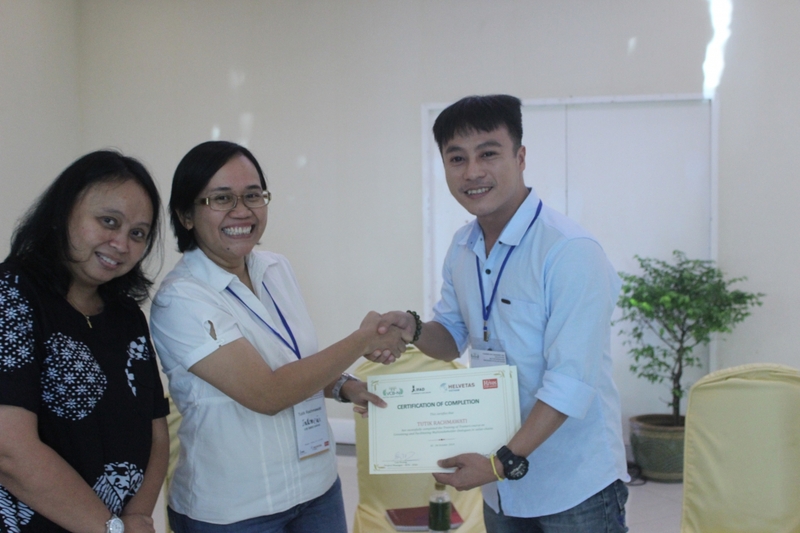 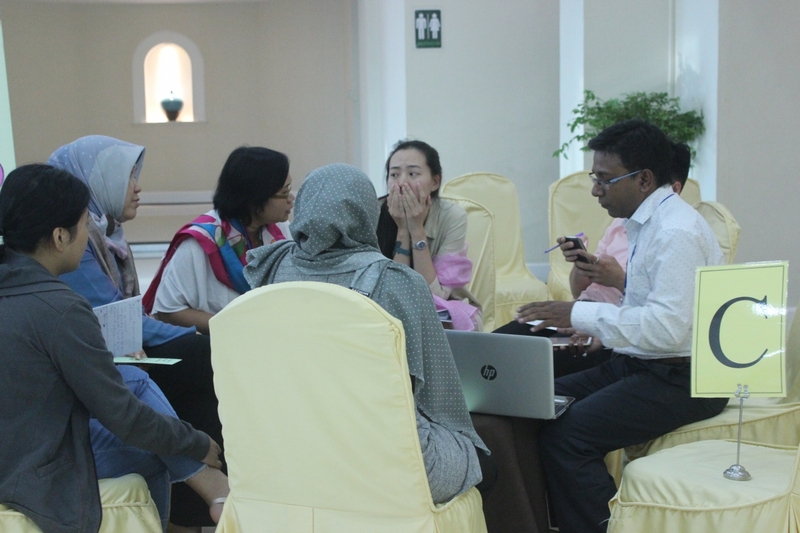 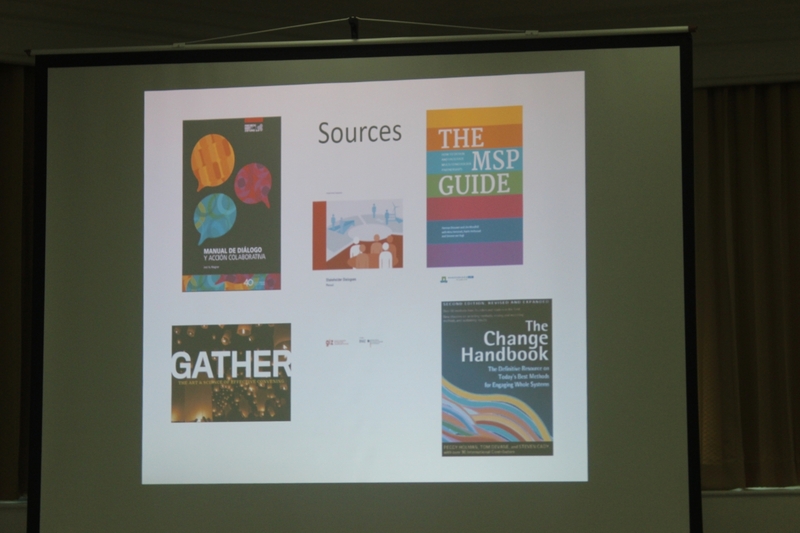 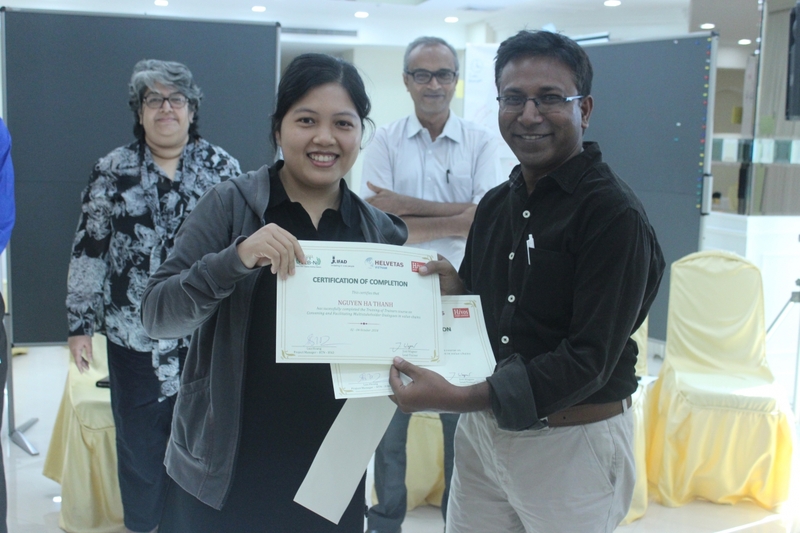 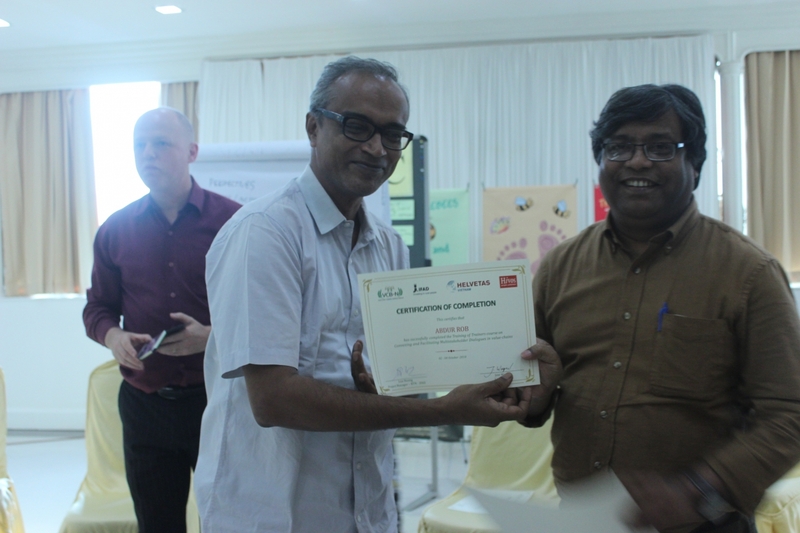 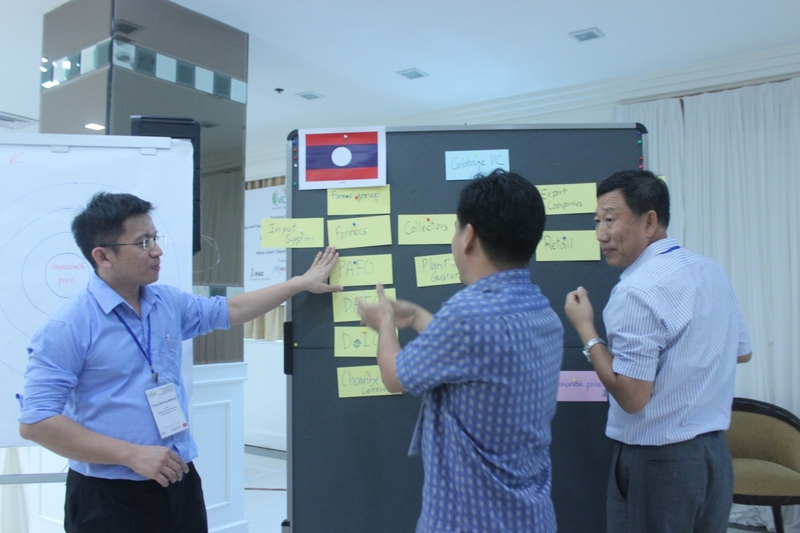 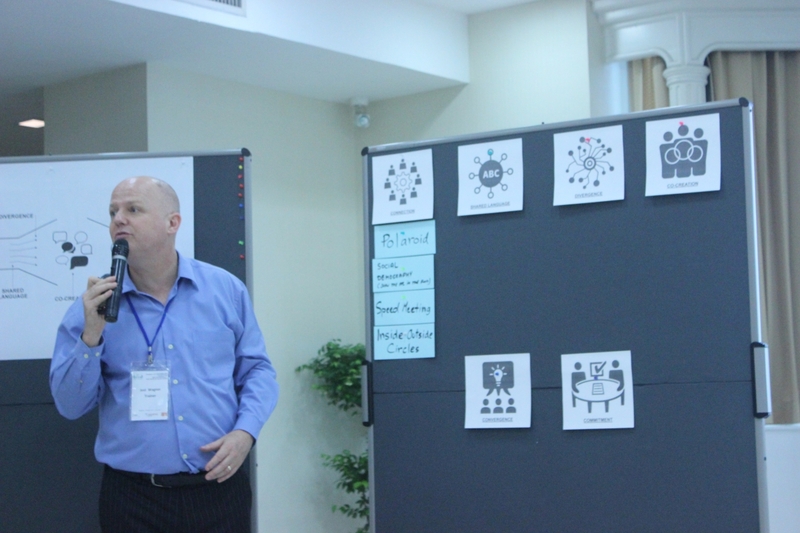 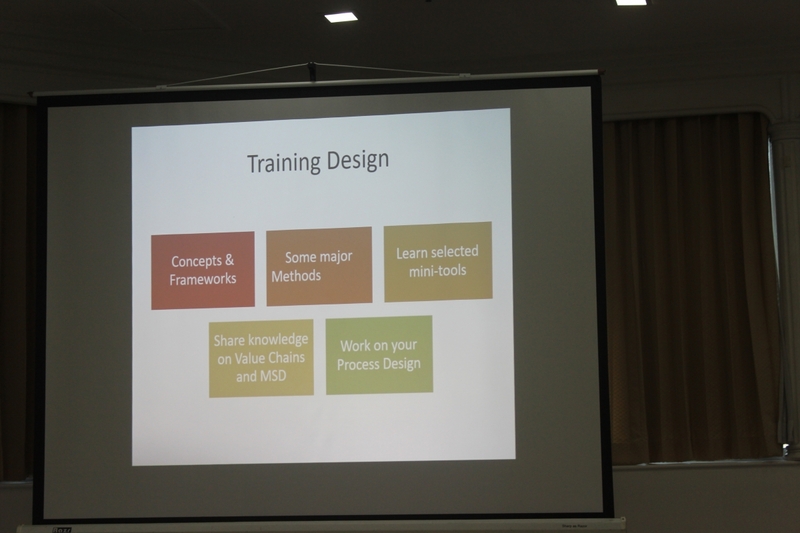 The training was conducted by an experienced expert on designing and facilitating multi-stakeholder dialogues. 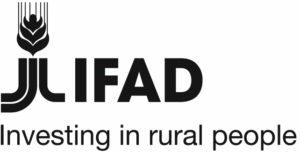 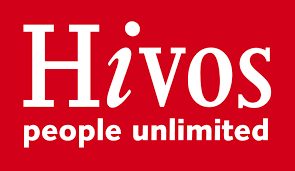 This training is part of a series of capacity building activities that are organized in the framework of the project “Regional Training Network for scaling up of pro-poor value chain” funded by IFAD and implemented by HELVETAS and Hivos. 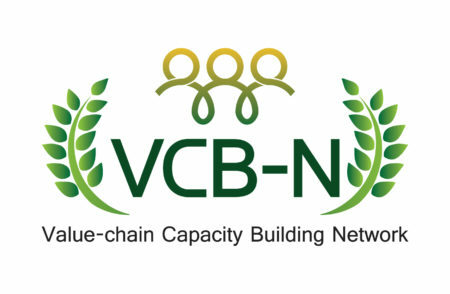 While the first three trainings were designed as training of trainer (ToT), providing VCB-N trainers with technical knowledge on the topic of Value Chain and Market System Development (VC&MSD), this training aimed to develop, refresh and strengthen VCB-N members’ skills on how to convene and facilitate multistakeholder dialogues in value chains development. 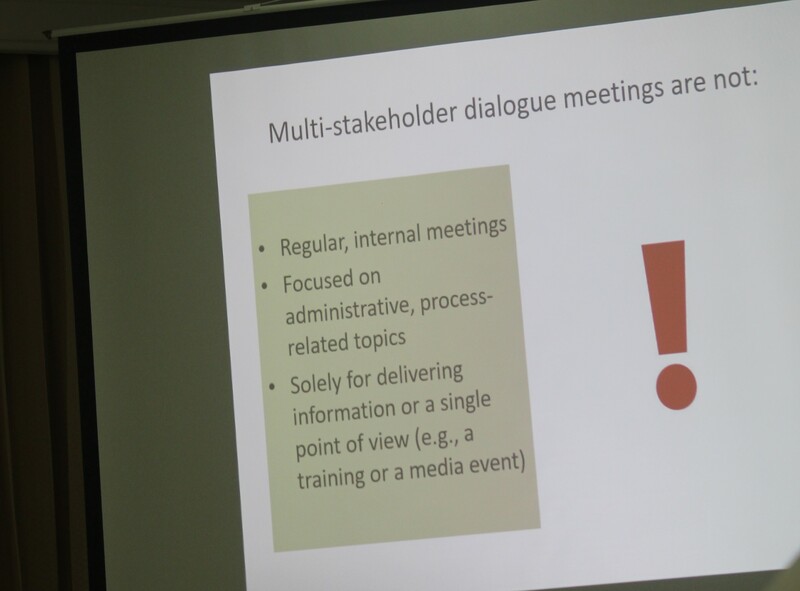 Multistakeholder dialogue is proven to be an effective approach in resolving complex development issues where various actors/stakeholders are involved and have their stake in, such as value chains. 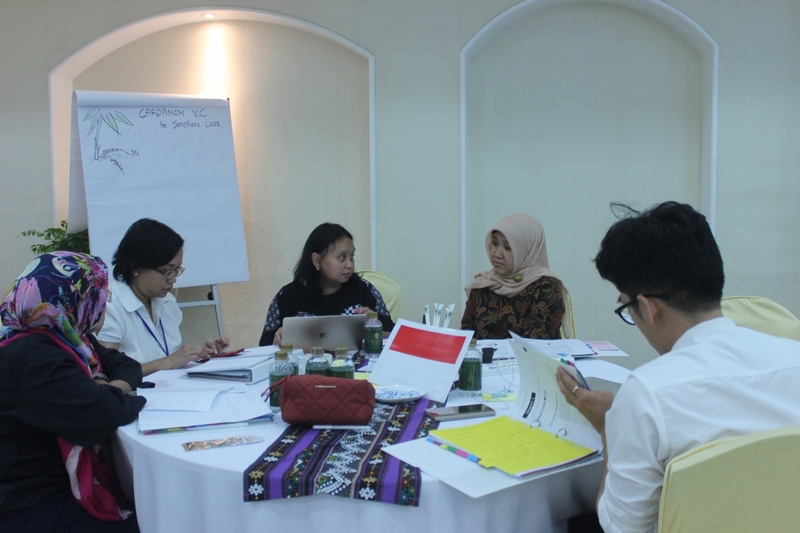 The training also intended to facilitate the implementation of the planned activities of the project component II, mandated to organize multistakeholder workshops/policy dialogue or national forum on the most relevant issues related to VC&MSD in 7 target countries. 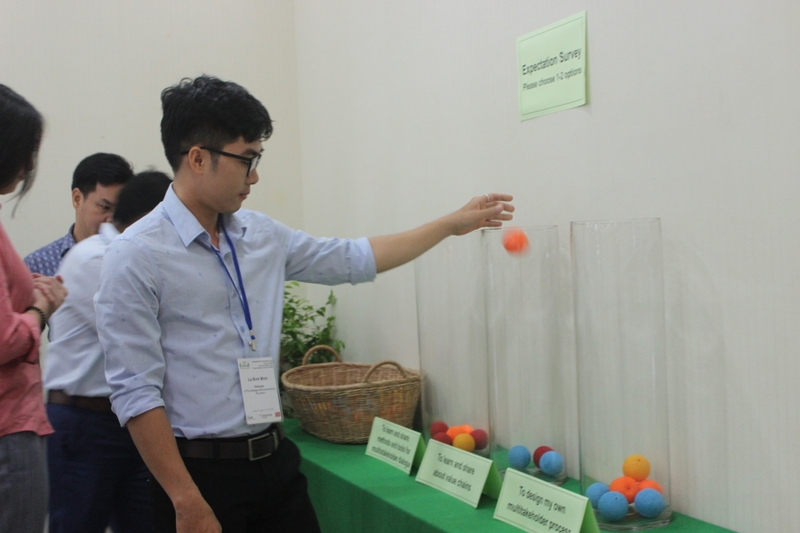 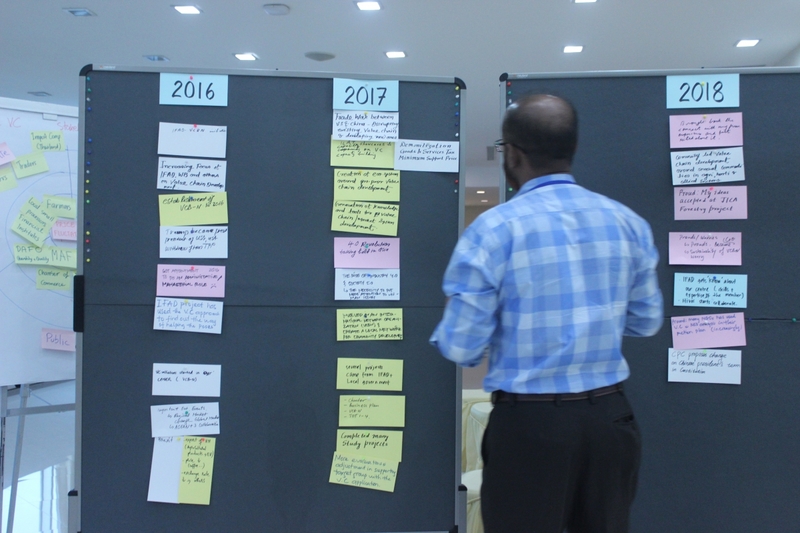 The participants were provided with modern methods and tools that professional facilitators of multistakeholder dialogues/platform need to know for an effective facilitation. 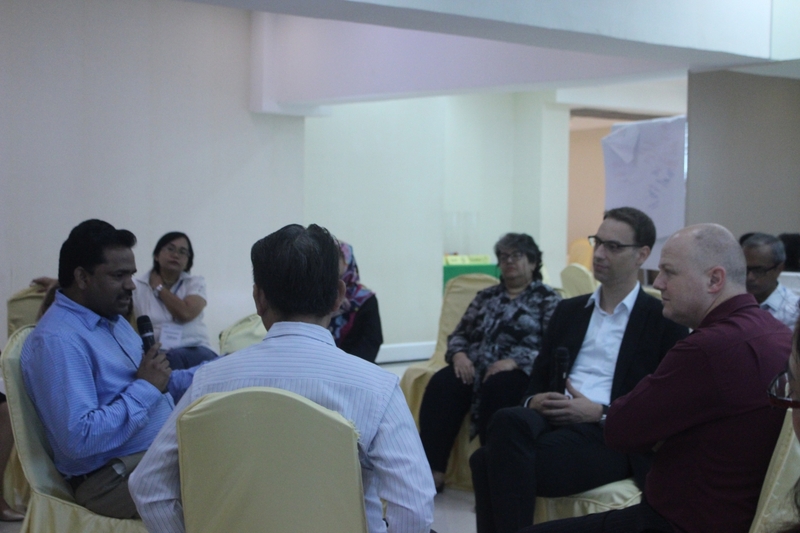 As highlight of the training, two senior GIZ experts on VC&MSD were invited to participate in a practical dialogue exercise where fish bowl was used as method of discussion. 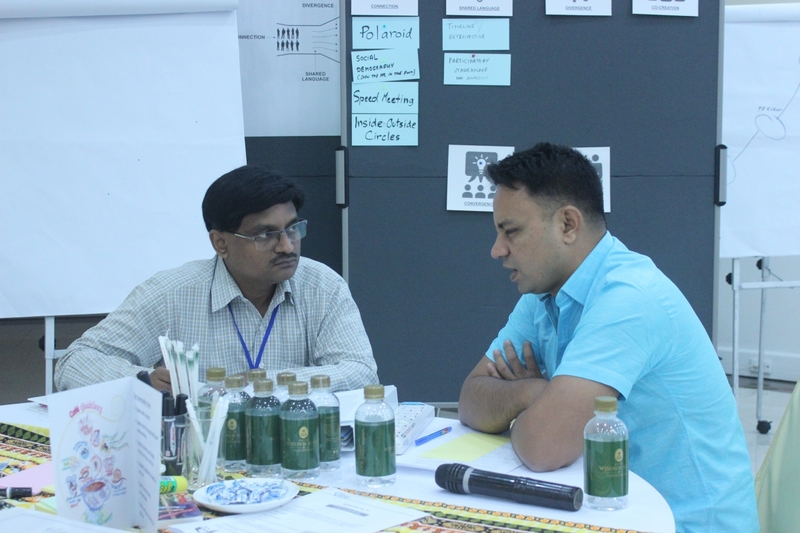 The participants could not only experience the method, but also engaged in active conversation on VC&MSD issues with these experts. 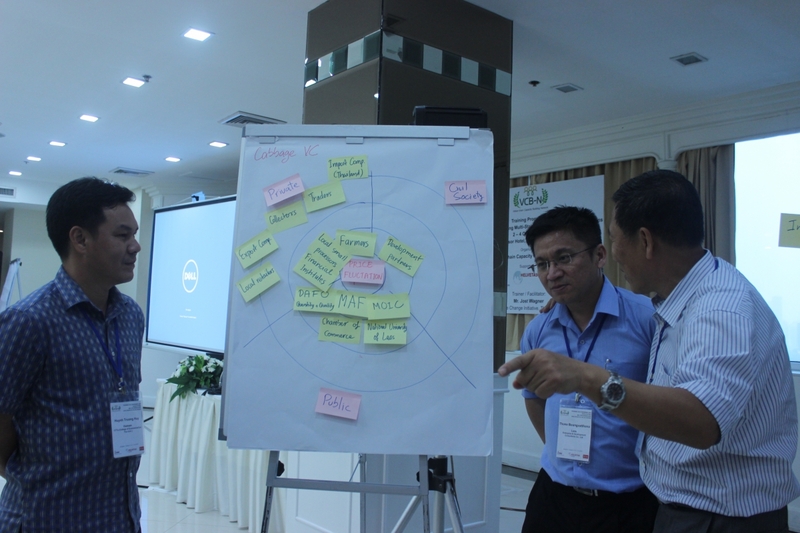 The training ended with a practical session where the participants worked together on designing a future multistakeholder dialogue process or concept on value chain with the financial support from the project. 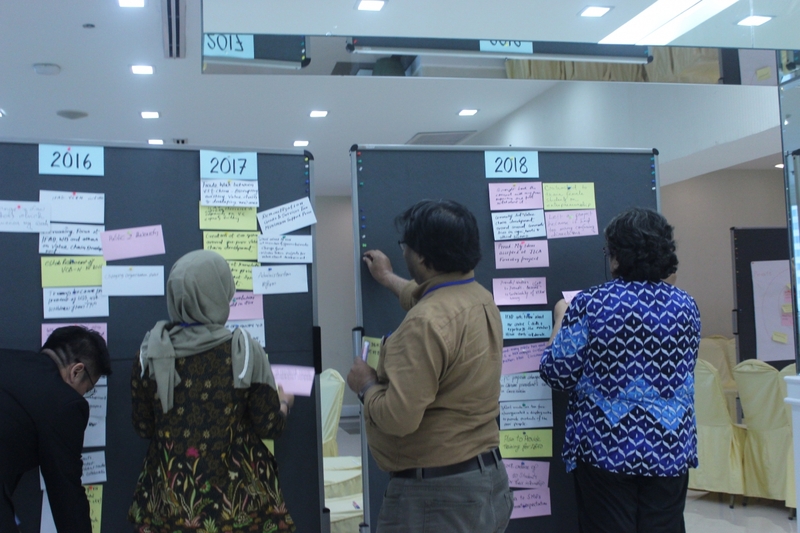 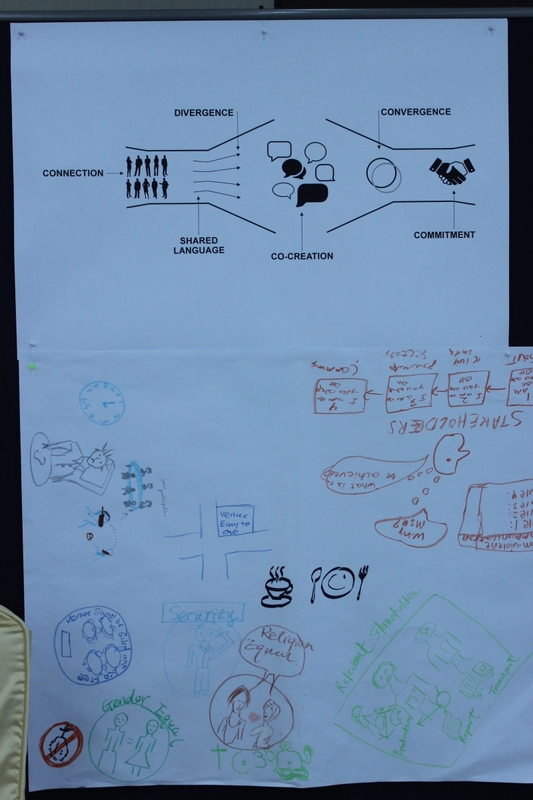 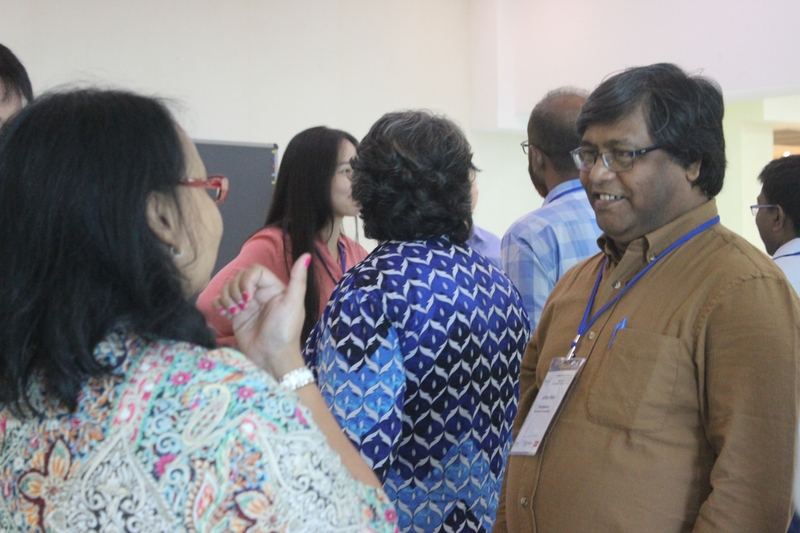 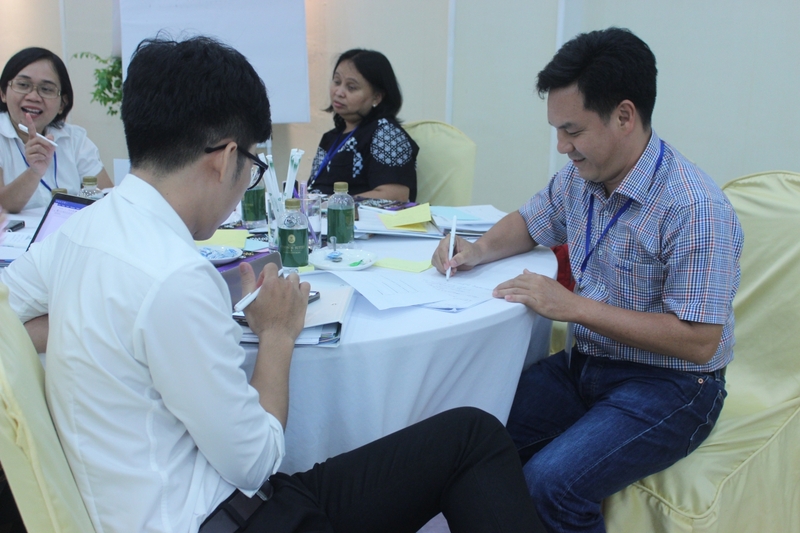 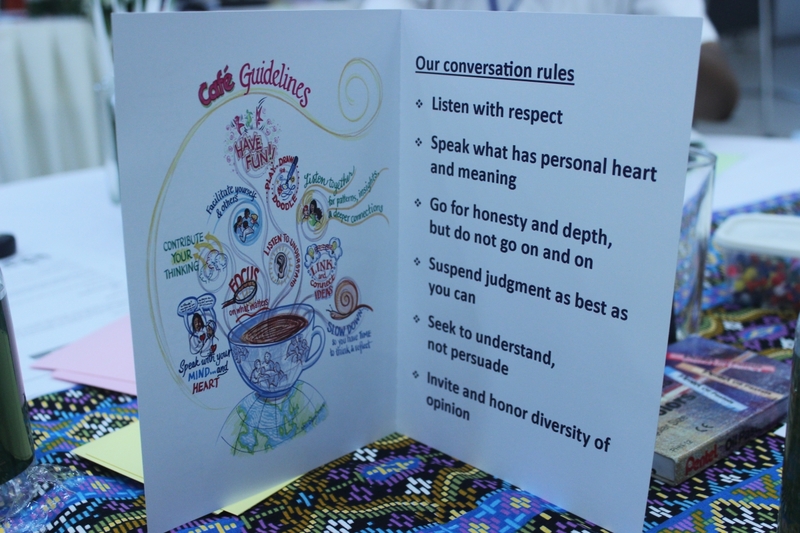 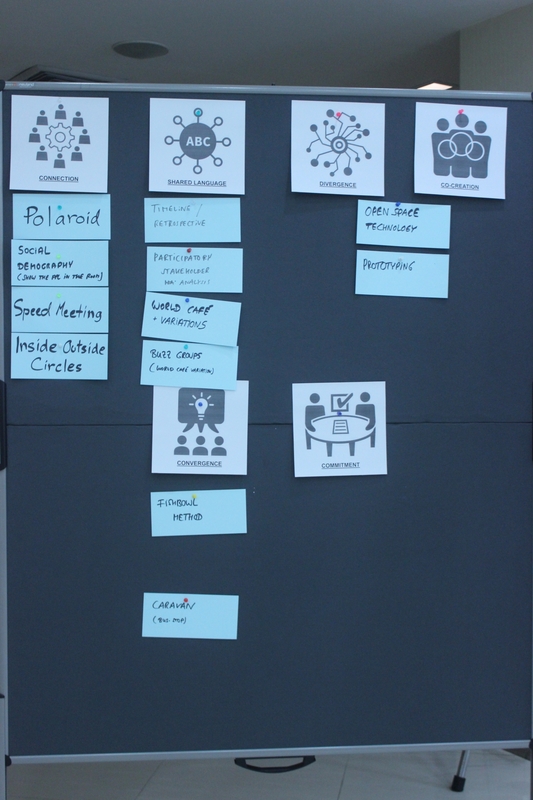 Some participants had a plan for this type of dialogue even before coming to the training, others, with additional information from the Project and inspired by the training, started designing their own multistakeholder process. 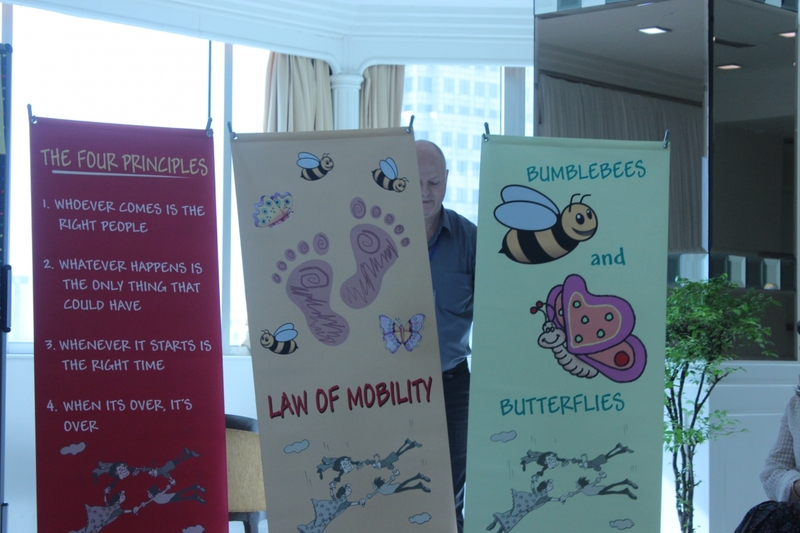 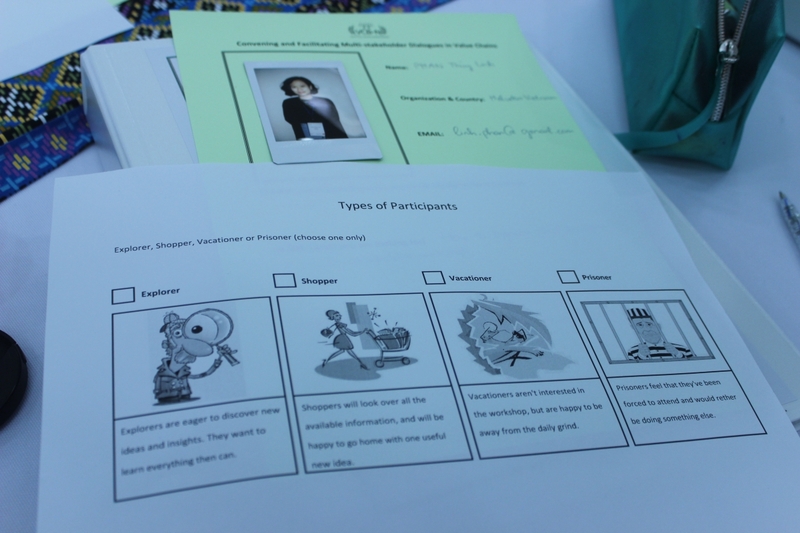 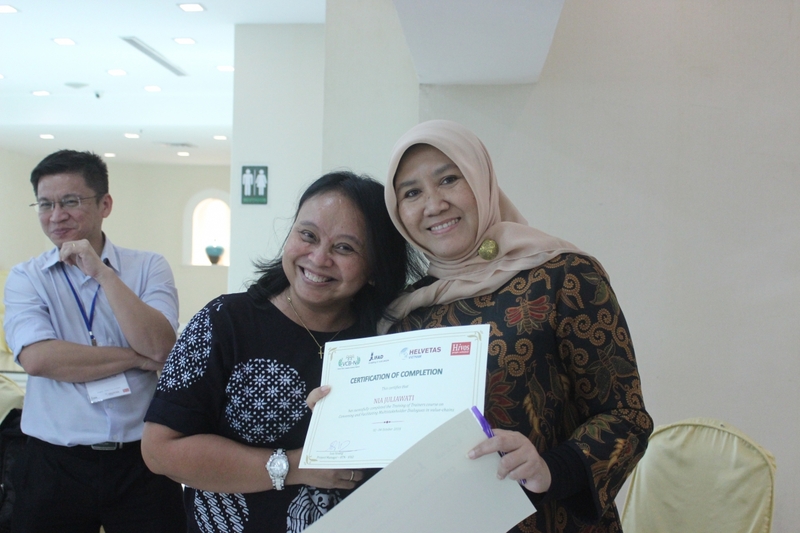 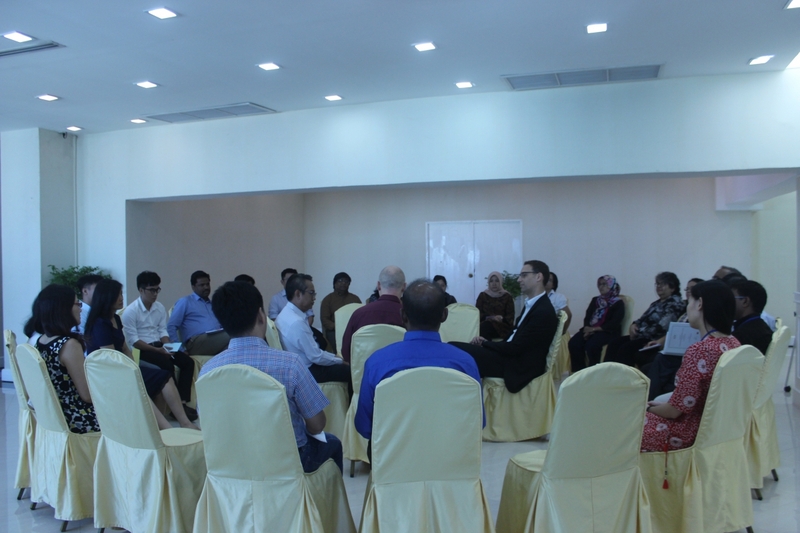 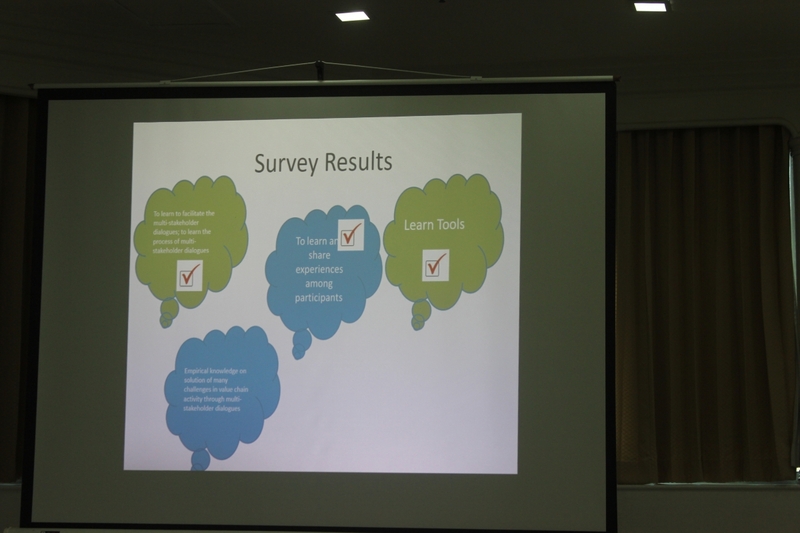 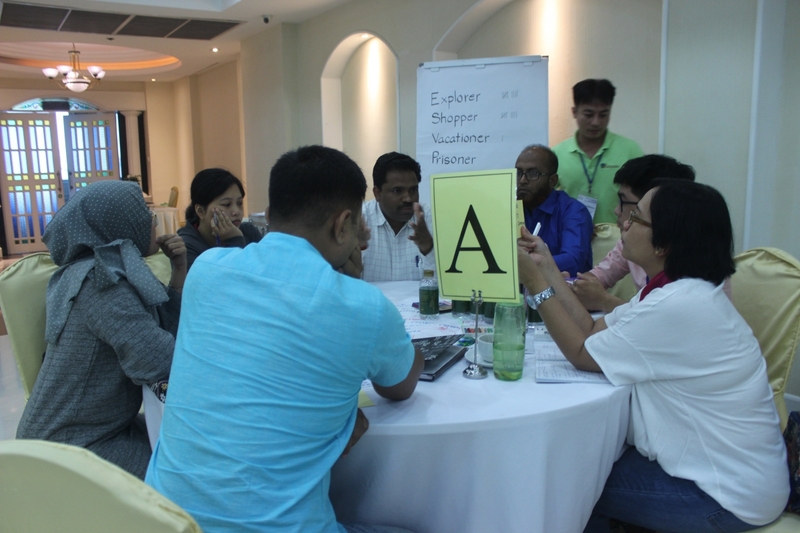 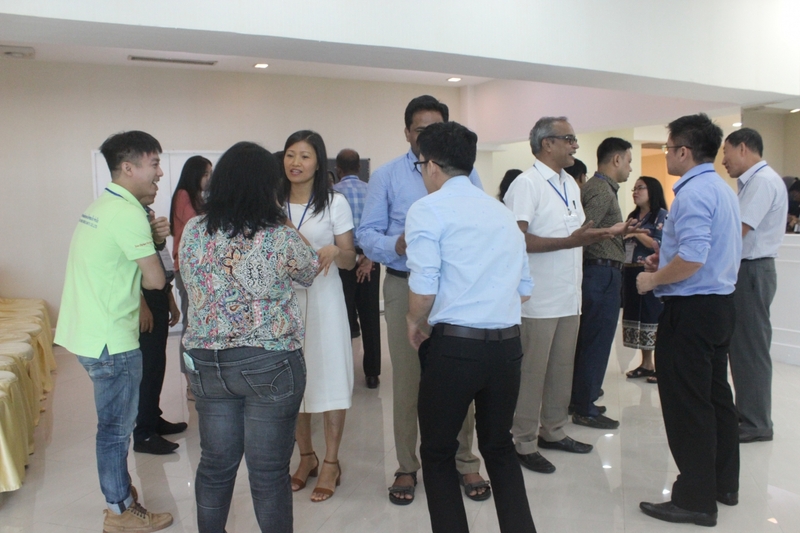 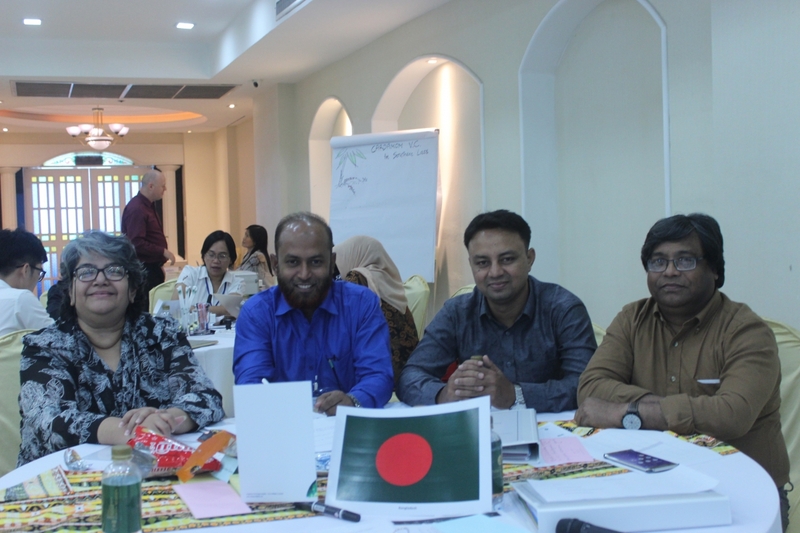 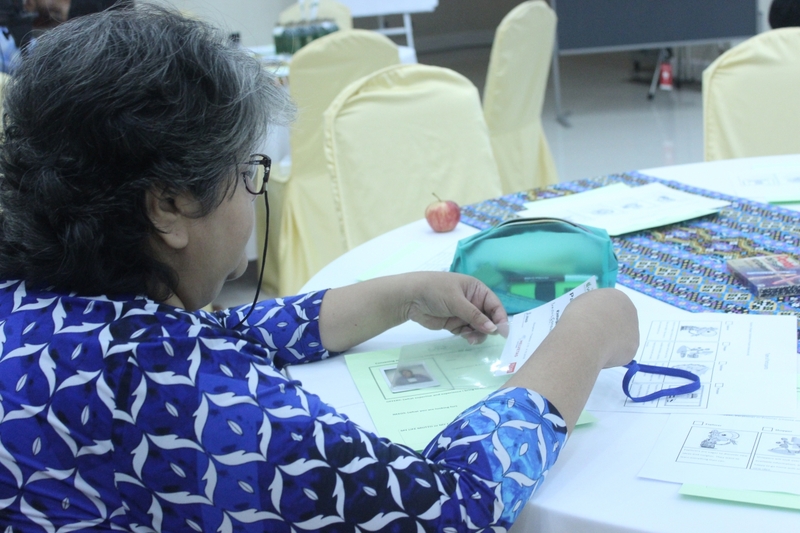 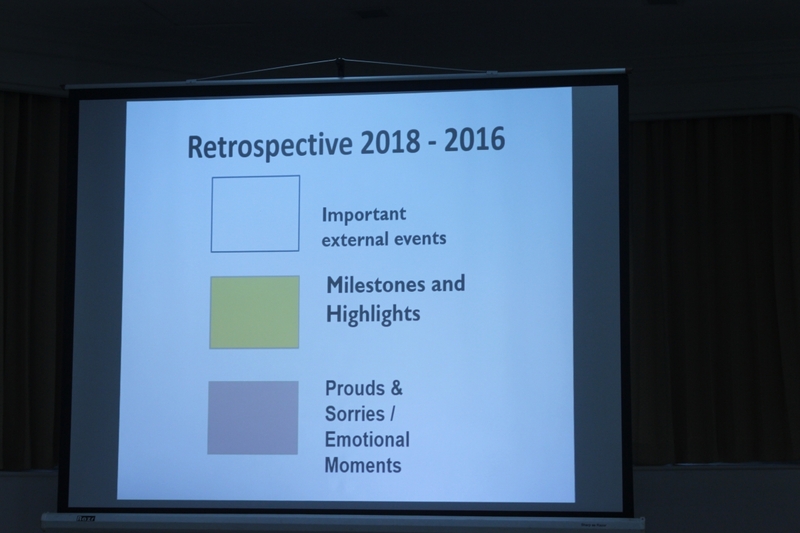 Based on the post-training responses, most of the participants expressed their satisfaction with the training. 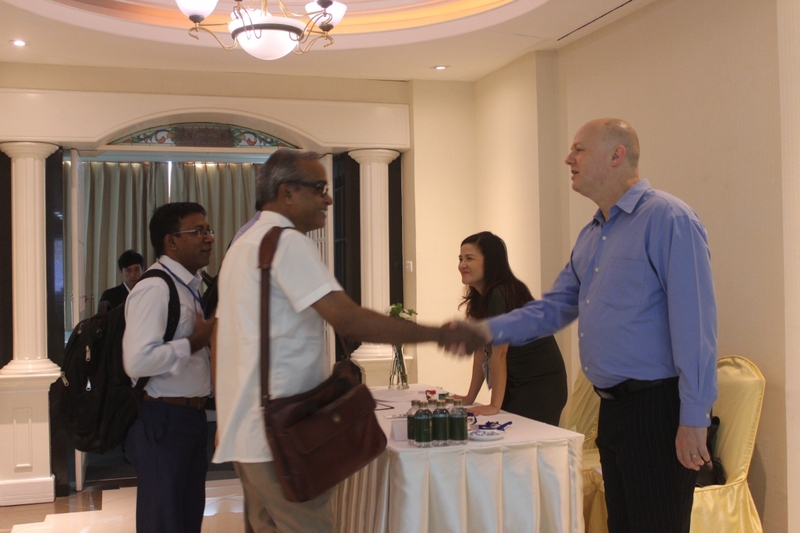 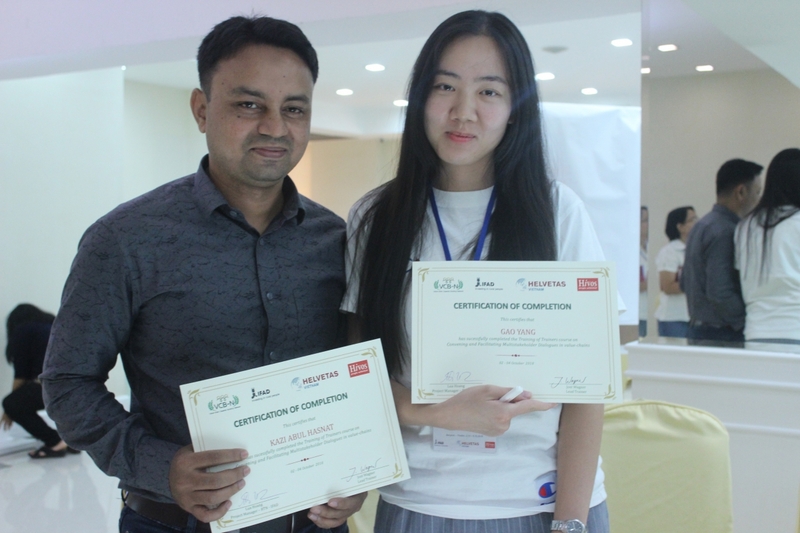 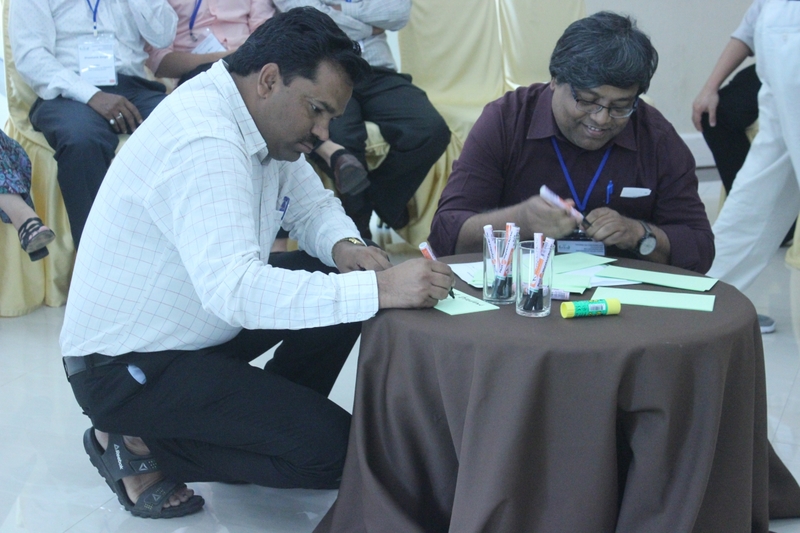 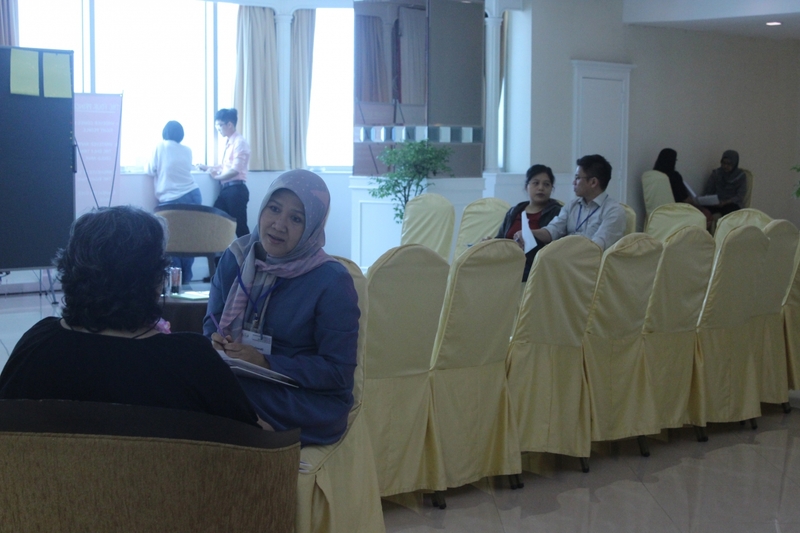 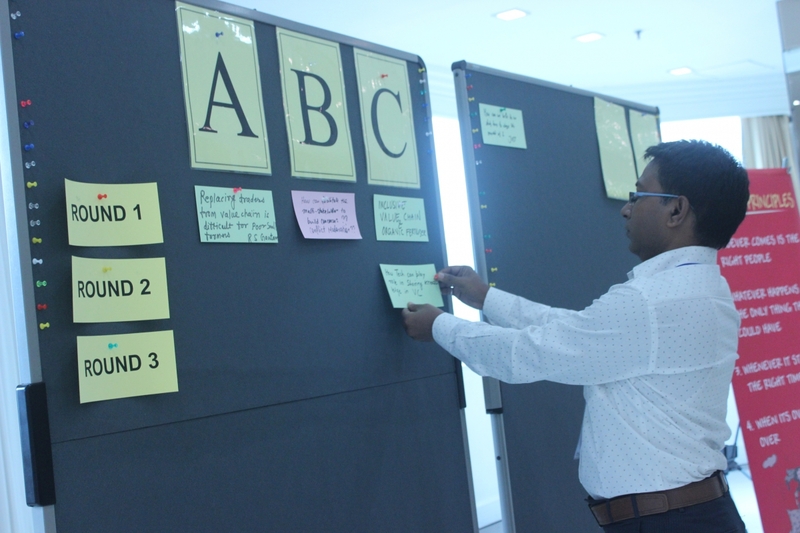 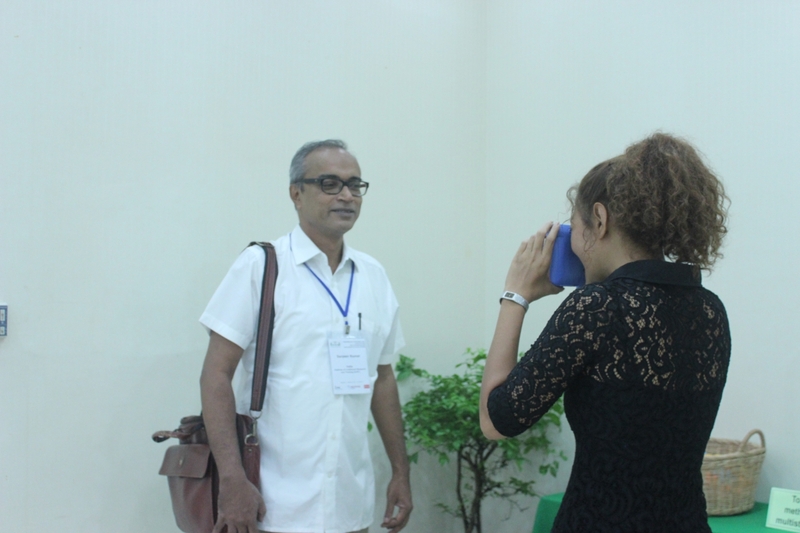 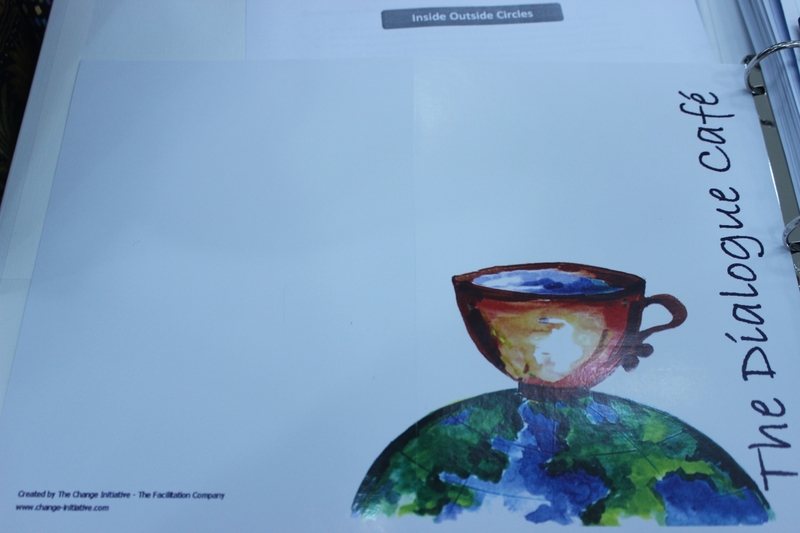 Some participants wished to have been provided with more details or examples and suggested a longer course duration. 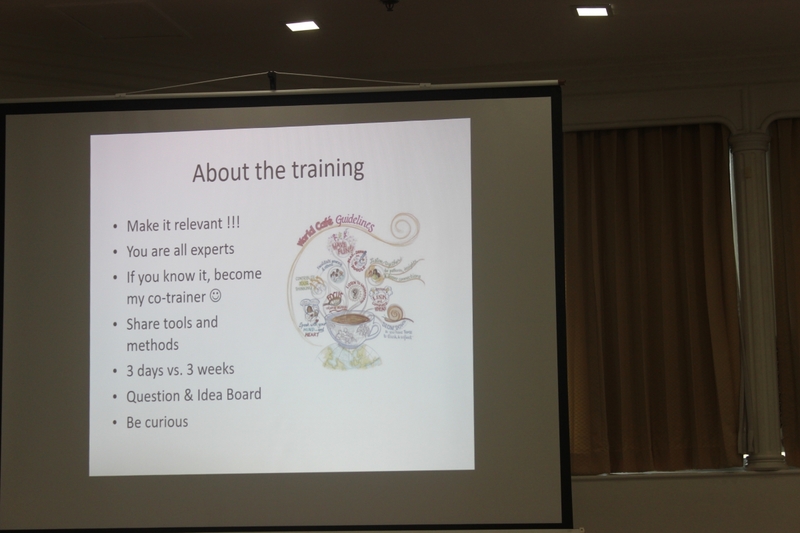 After the training, the training slides will be shared with the network members.